Have you lost your Viber messages and chat history and you would like to use it again through Viber backup? Maybe the messages were deleted or lost through software update or other reasons. We all know how important your Viber message history is: you could use it as a proof in court or during arguments, just remember it or use it as a reminder for a task or deal. Many people think that deleted messages are gone forever. But the truth of the matter is you can still recover your lost Viber messages easily. But to avoid this kind of things happening on yourself, you'd better learn how to backup Viber messages in advance. Therefore, in this article we will show you 3 solutions on how to backup Viber messages from iPhone. Actually, how to backup Viber messages is not a difficult question. You can manually backup your Viber messages and chat history. However, it is important to note that your backeup history cannot be restored to your device because Viber cannot store any of your message history. Therefore, it cannot retrieve lost data. Backup history is only available in iPhone and Android devices. 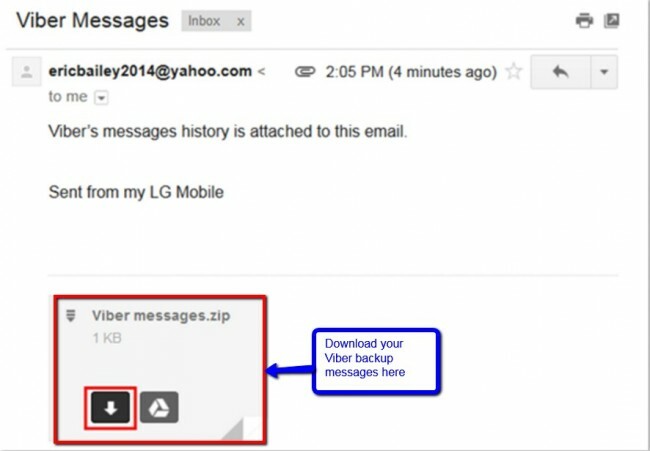 let us learn how to backup viber messages in your device. Sign in to your Android Viber account. Click the more button and then scroll to "settings" and select "Calls and Messages". Once you click "Settings" you will be taken to a page called "Calls and Messages". you will see "Email message history". Tap the button and choose an application to email message history. Next, you need to choose "Email" and choose your preferred email app where your message history will be backed up. Now the next thing is to set up your email account. Login to your email by entering your email ID and password then click "next". make sure you are connected to the internet because it will not work without being online. After setting up your email, select "Done". In the next screen enter the email address that you will like to receive your messag history backup and hit the arrow button that can be located on the top right corner of the app. You have now manually set up your Viber message backup. The process of restoring your Viber chat histor is very easy. Here is how restoring Viber chat history works. 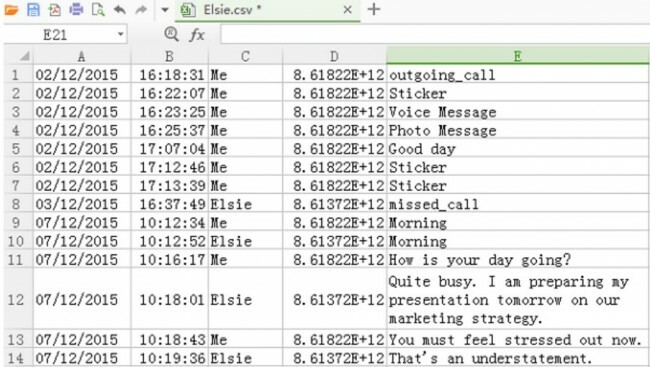 Now that you have downloaded your Viber message history, the next thing is to open the attachment CSV file. The file contains your chat history and files are named according to the contact's name. You can view your chat history. The files are listed in an orderly manner depending on the time they were sent and received. Both the receiver and the sender are shown. 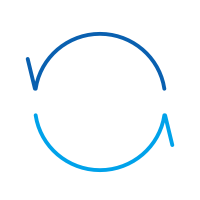 As we have already mentioned, the shortcoming of this backup process is that it can only be used on Android and iPhone devices. Also, You cant preview the backed up messages as well as select the specific messages to backup. dr.fone - Restore Social App (iOS) is your go-to tool when it comes to backing and restoring Viber messages. Losing your important Viber messages and documents can be a devastating experience if you have no idea how to retrieve your data. But all is not gloom and doom. In fact, there is no need to panic because dr.fone - Restore Social App (iOS) is there to help you to avoid losing your Viber data. 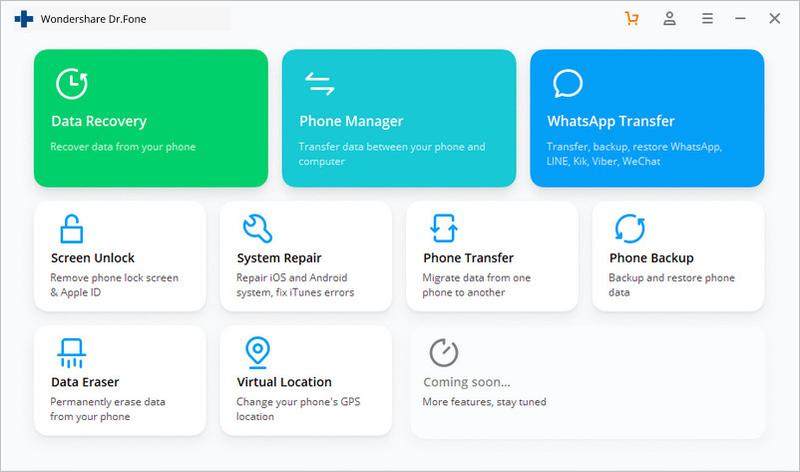 Unlike the manual process of backing up and restoring Viber messages (where you have no option of selecting and previewing your data), dr.fone makes the backup and restore complete 2-3x faster. You can also preview data before you restore. On top of that, it easy to operate. 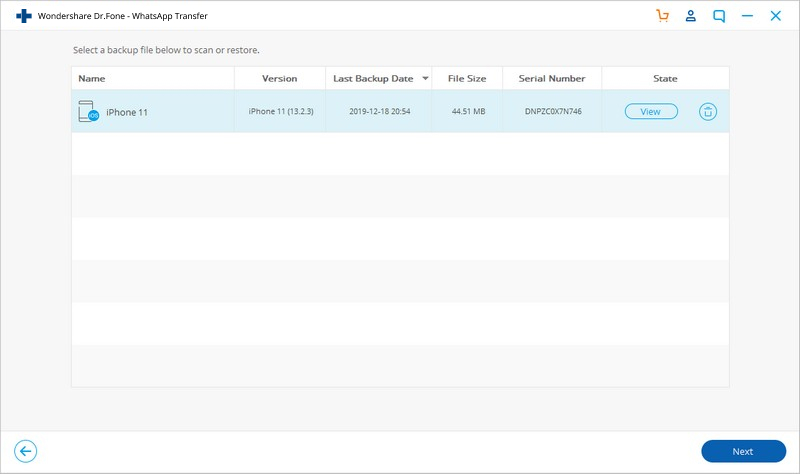 Backup & Restore iOS Viber Data Turns Flexible. 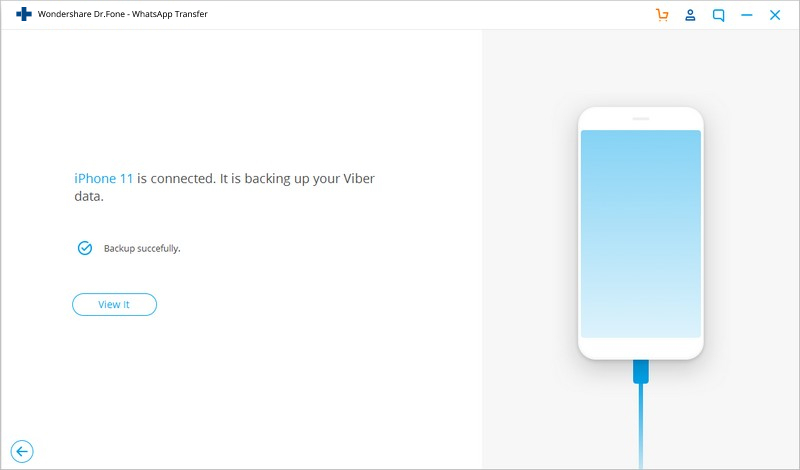 One click to backup the whole iOS Viber device to your computer. 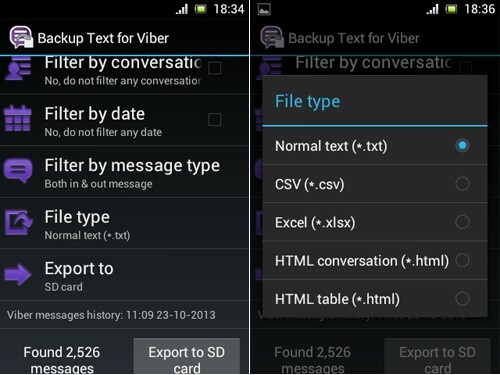 Allow to preview and restore any Viber data item from the backup package. Export what you want from the Viber backup to your computer. The first thing obviously is to launch dr.fone on your PC. Next, choose "Restore Social App" on the screen as shown below. Note: If you have downloaded the Mac-version dr.fone, choose "Backup & Restore" > "Social App Data Backup & Restore" instead. Whether you are using iPhone or iPad, the process is the same. 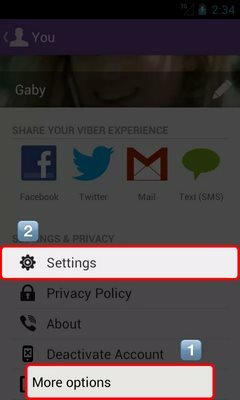 Connect your device to computer and then go to "Viber". Then click Backup. The tool will start backing up your Viber messages and files automatically. Do not disconnect the device while the process is on as this will abort the process. In other words, your device should be connected all the time. You will be notified when the process is complete and you will see the screen below. Now that you have backed your Viber messages, chats, photos or videos, you may want to view the backup data you have created and restore. 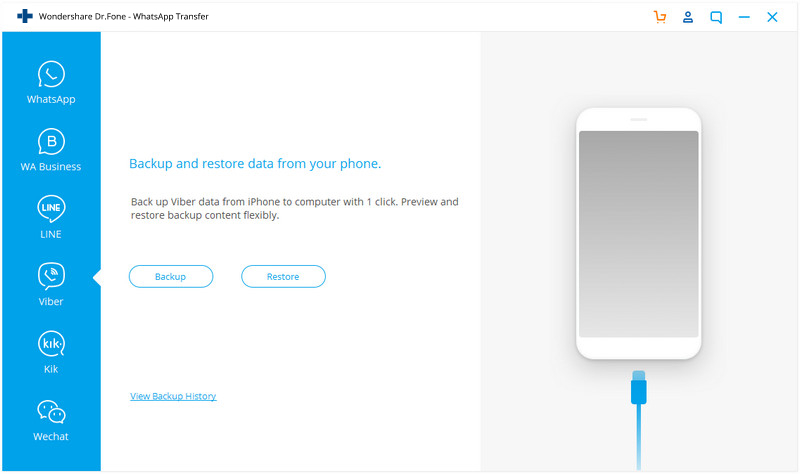 The following process outlines how to restore your Viber backup data using dr.fone too. On your screen, click "To view the previous backup file >>" in order to check the backup files and their content. You will then be able to see all your Viber backup files. Select the ones you would like to view and hit the "View" button. When the scan has stopped, all the backup files are displayed. The next thing you need to do is to preview the content in the backup file and select all the items that you would like to restore. You will be given two options: either to "Restore to Device" or to "Export to PC"
So, you can see this is the most fast and easy solution on how to backup Viber messages. Especially, you can preview and selectively backup Viber messages you want. And the user experience and UI design is wonderful. Why not free download it to have a try? 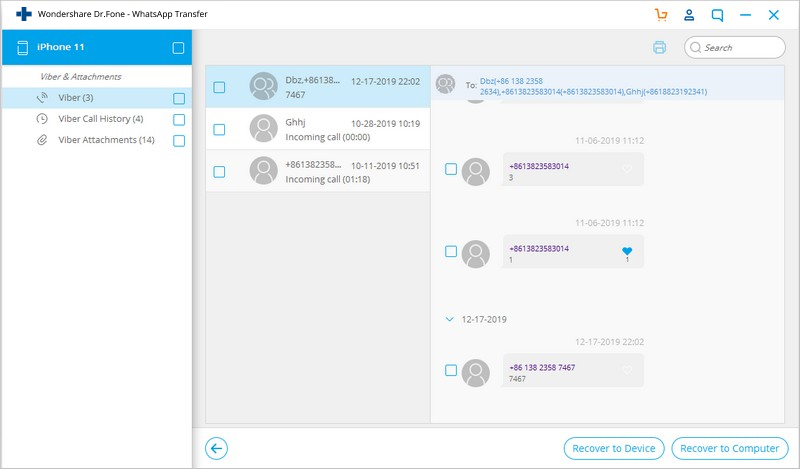 Backup Text for Viber is a Viber backup tool that exports your Viber messages, converts them to CSV, plain text or HTML formats so that those files can easily be read on your mobile phone depending on the type of mobile phone you are using. The exported files can be stored in your Phone's SD card or stored in your email as an attachment. 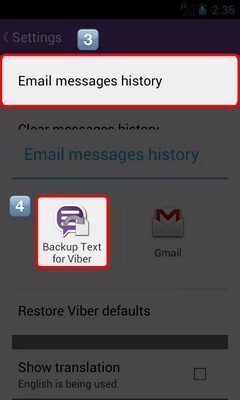 Here is how to backup and restore your Viber messages using Backup Text for Viber. 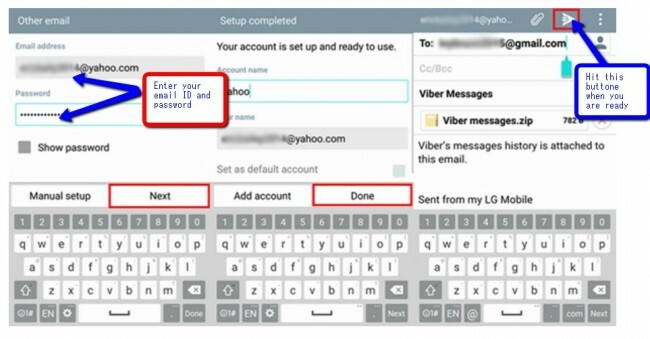 Step 2: Click "More options"
Go to settings and scroll to "Email messages history" and then click "Backup Text for Viber". Once you do that, the tool will start exporting your messages to your email. The above 3 solutions can all be used to backup and restore your viber messages, photos, videos and other documents. However, not all backup and restore options/tools are created the same. Some are more complex than others while others are more effective than others. As we have already mentions, only dr.fone - Restore Social App (iOS) is able to give you an option of previewing and selecting the specific files you want to backup. The default backup and restore option as well as Backup Text for Viber give limited options in terms of previewing backup files and selecting which files you would like to backup. With a plethora of tools and options available for Viber backup, protecting your Viber messages, Videos, chat history, message attachments and photos is no long a hassle. What you need is just a cool too like dr.fone - Restore Social App (iOS) tool and you will have a peace of mind knowing your most important messages are being protect from loss. You can restore those messages or files whenever you need them. Are you having problems with your Viber message backup? This article shows you how to backup your Viber messages in 3 easy solutions. In this article, we will share you a easy and fast method to restore Viber messages. Read on it to learn how to restore Viber messages from iPhone/iPad. Do you have problems restoring and backing up your Viber messages and other files, Dr.Fone will rescue you to backup, export and restore Viber messages. 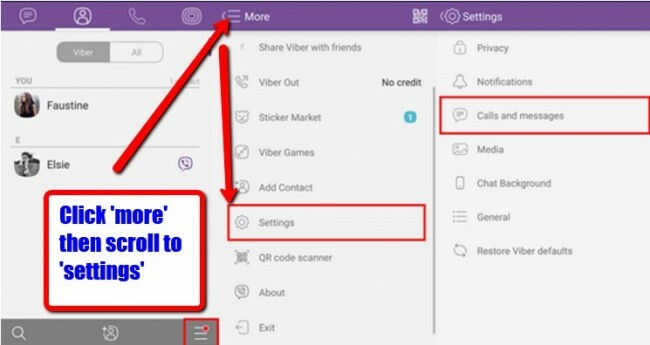 Changing your Viber number is as easy as ABC .This article will offer you a step by step guide on how to change Viber number on PC, Android or iPhone. 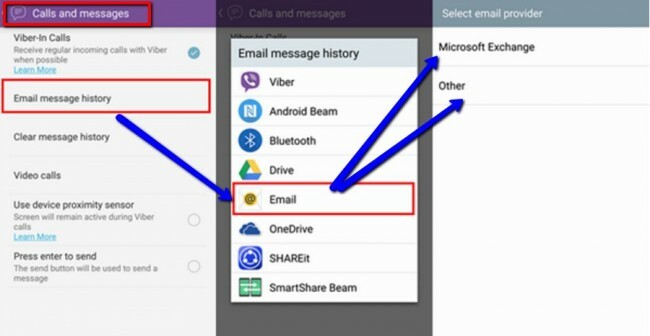 This article that will guide you on how to delete your Viber account, your Viber messages and Viber group and how to use Dr.Fone for all these steps. In this article, we're going to take a look at some of the best free video calling apps available in the market.